I received an email from my sister Colleen and in the subject line it said...Tool Time idea??? Attached were these first 2 pictures. Colleen is my one and only sister (I have 3 brothers, but they would never send me a Tool Time idea). She's extra special to me in so many ways...oh wait sew many ways!! We're 9 years apart, but those years faded away when we both took care of our mom the years before she passed away. Now we are sounding boards for each other taking care of our dad. She wanted this to be a Tool Time post, but she is so talented I wanted to give her a special place here on my blog. I'll be sharing more of her ideas and creations in the future too. 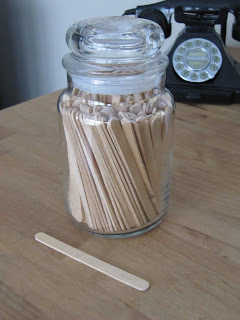 Cute jar for storing craft sticks right? Well, here's the before. 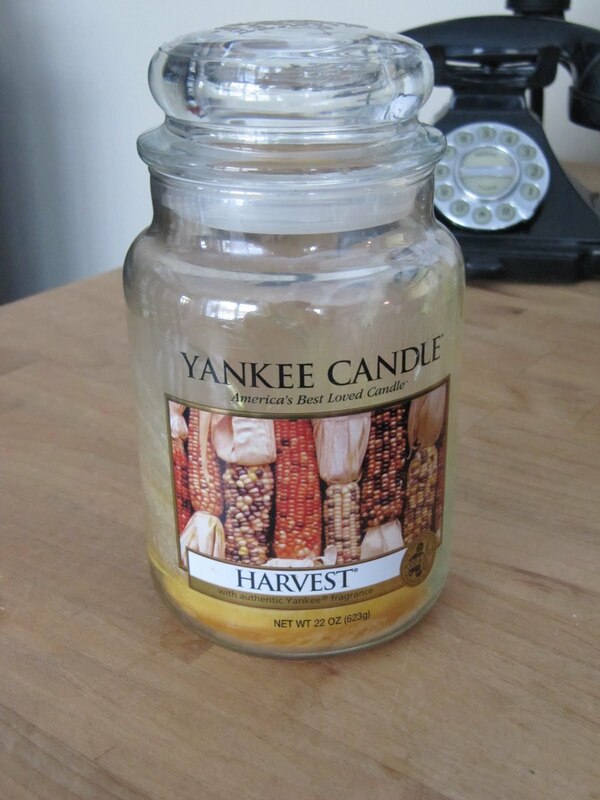 We all have candles in jars and they don't have to be Yankee Candles either. Remember the post I did a long time ago about recycling the wax at the bottom of the jar that the wick doesn't burn? Click here to see that post. Well, once you freeze and take out that extra wax, chip away what ever is left and then use hot water to melt the rest of the wax away. The label of the Yankee Candle is a clear sticker that peels off. You can also use Goo Off for any gumminess that's left on the outside. and here you have it...the best, cutest, FREE storage jar for your craft room. What about 'Boo Boo Bear'? SO - - - all your cleverness runs in the family~! Good to know! How nice to have a sister with whom you can be so close. I guess craftiness runs in your family! I love your sister! Hi, Colleen! Yikes....I guess I need to start burning some of these candles! I never think to light them! Can't wait to burn one away now! I've been following for a little bit now and I just love your creativity(and Colleen's too). It is wonderful to see so many things used in different ways, and most economicly. Sorry about my spelling on the last comment. I really shouldn't be commenting without my glasses. On the subject of candles in need of recycling: One of my favorite Christmas gifts is to: 1.find a favorite family mug or pick up a holiday mug for cheap 2.Melt all the leftover candles from family parties, holidays, etc. 3. Pour into the chosen mug. You now have a "memory candle". Oh, so it runs in the family!!! 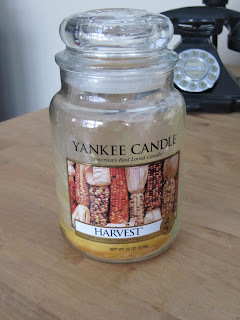 Great tips...sure bets filling the land fills with the jar. I have also used these in the kitchen! The jars are virtually air tight, and they make great storage containers (wash them WELL). I've even used etching chemicals (available at craft stores) to make pretty designs or even the names of what I'm storing in them. They make lovely gifts, too! I am saving my candle jars to fill with divinity or candy, etc. to give to my neighbors for Christmas. I am caregiver to my soon-to-be 101 year old mother. We burn a lot of candles at our house!!! I love those jars for cotton balls and Q-Tips! love all your ideas... I too save the candle jars.. One thing I do with them is store my ribbon scraps in the jars by color.. (im a scrapbooker). I also keep q-tips in the jars.. and for my ocean theme bathroom I keep shells, glass marbles etc. and I also put homemade bath salts in the jars.. QUESTION: you have a post showing ways to use the lids... so... then the jars cannot be used for "storage" per se... so what to do with the nice jars but with no lids?!? 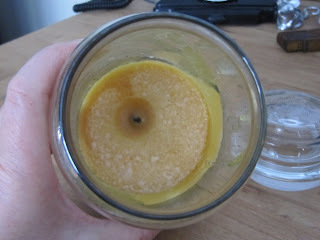 I've been trying to come up with ideas for recycling candle jars and lids too. A use for any jar without a lid, even food jars which I also recycle often, is as a catch all, what goes in it depends on the area where it's used. In the kitchen you could put long wooden spoons, slotted and solid spoons, pair of tongs, a long fork for turning foods.....I place it near the stove and stick in the utensils I use most while I cook. At your office or craft room desk you can place rulers, long pencils, letter opener, scissors, paint brushes, colored pencils, x-acto knives, etc. and if you are using shorter jars, you can stick shorter items in them. At your cook out or picnic table, use the jars for plastic utensils or straws, or drink stirs. I use metal coffee cans often too, with glass you have to more careful of breakage. You could use the metal cans (make sure there are no sharp edges inside the top edge) for items that children are going to use, or to store drawing or crafting items in their rooms. Any empty glass jar with a lid, candle or food, can be used as canisters for flour, sugar, macaroni, pasta shapes, tea bags, but if you break the glass into the flour you must throw the flour away of course. I like to empty boxes of things like tea bags and noodles into jars, or small amounts of powdered sugar, cocoa powder, chocolate chips, etc. you can label the jars or use Sharpies to write what's inside. I use large pickle jars for making red beet eggs. No one really needs to buy glass containers, just use what you used to throw away. I have my empty jars in my bathroom filled one with Q-tips, one for my Collin wool balls and another for my tooth brush and paste. Cute ideas.